Just over a week ago, one of our main GIS layers became uneditable. Our GIS layers are connected to AutoCAD Civil 3D (Fig.3) via an SQL Server Spatial Connection in the Task Pane. 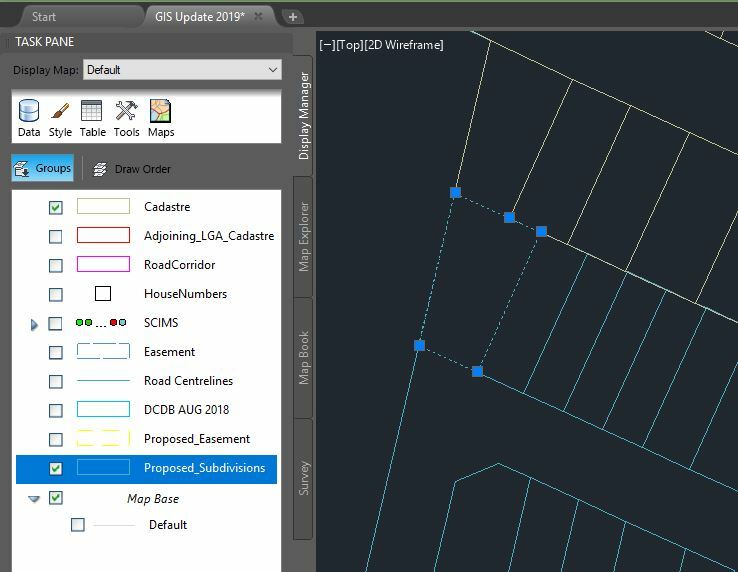 We were able to edit all connected layers for years, until last week when Cadastre became read only within AutoCAD Civil 3D. All other Feature Data Object (FDO) layers remained editable (Fig.1), while Cadastre is only visible and selectable (Fig.2). Can you help us resolve this issue? Fig.1 - Other layer objects present edit grips when selecting them. Fig.2 - Cadastre can be selected but no edit grips presented. No edit commands or function are available for this layer. Fig.3 - AutoCAD Civil 3D version. After further investigation, it seems the table in question was recreated at some point and the "Primary Key" value was omitted from the PK column, which was set to an "Identity" column type. 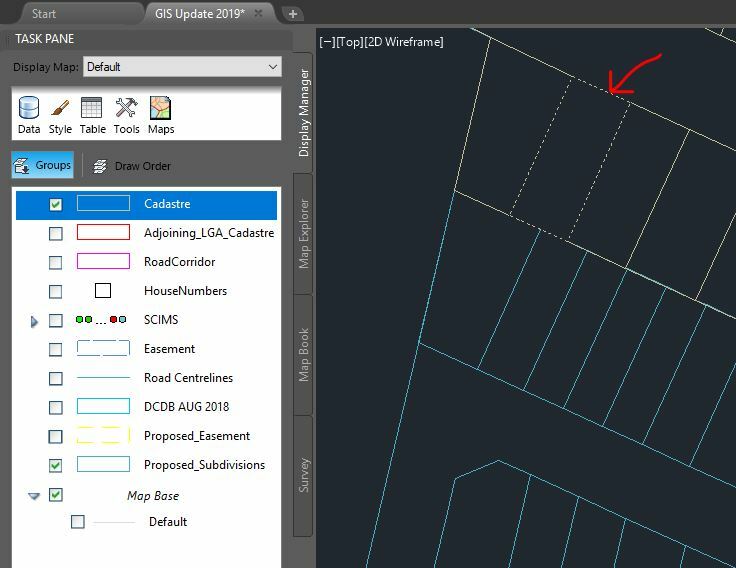 After recreating the Cadastre table with the correct column type and value of "Identity" and "Primary Key" respectively, AutoCAD now permits edits. Set attribute values while creating an ArcGIS Server feature in esri-leaflet?